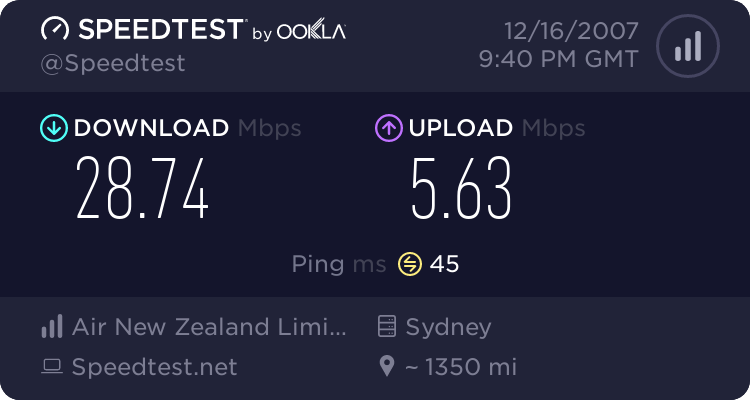 My Work Speed is limited by my 10/100 Network Adaptor! 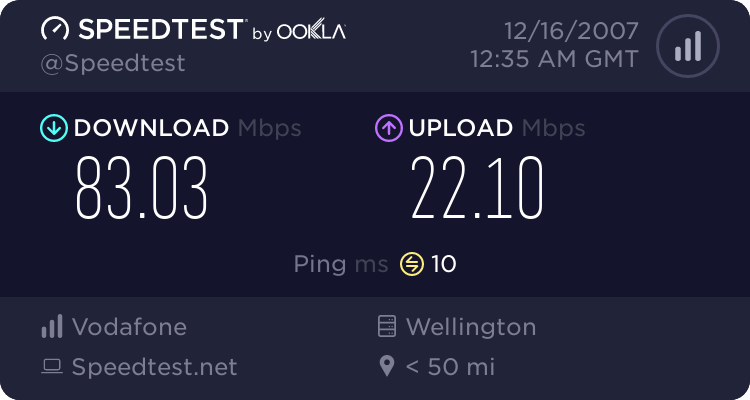 Forums › New Zealand Broadband › My Work Speed is limited by my 10/100 Network Adaptor! Thats on the citylink server which in all probability, a server that your provider/work peers with. Whats the result for Auckland? Around 60megabits sometimes - Depends - tend to get really fast constant download speeds. Cyril (at the end of a average 4Mb/s ADSL circuit). 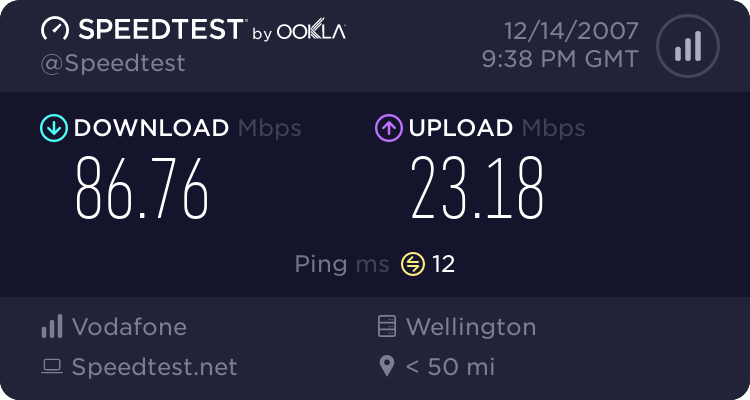 Care posting an Auckland or international speed test result? Probably on a feed where other users have a lot of traffic coming down and your only getting a 10th of the circuit capacity. VLAN where your proxies are in Sydney. 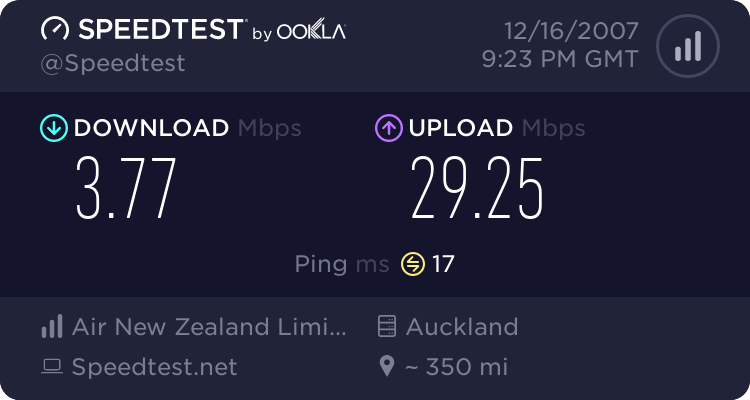 Tuikapo: Around 60megabits sometimes - Depends - tend to get really fast constant download speeds. lol - now now wouldn't want to be bad.